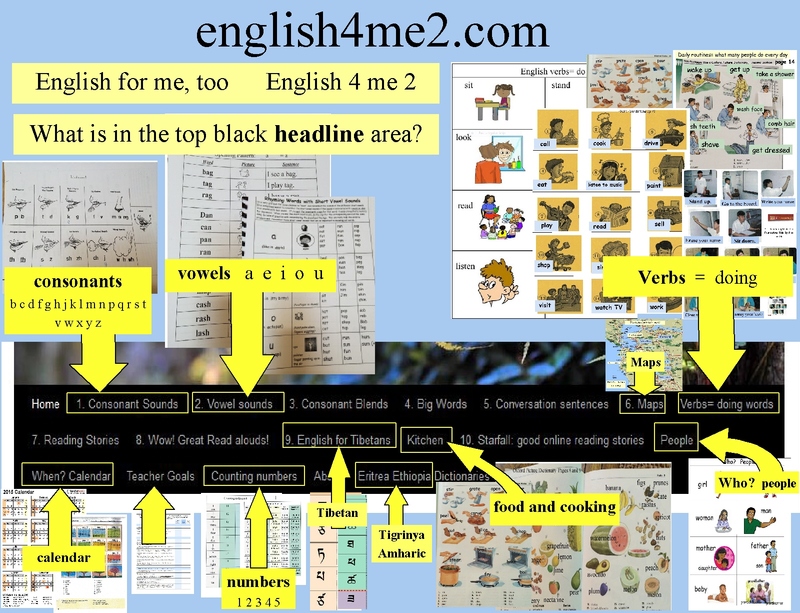 This blog, English for Me, Too ( english4me2 ) contains a variety of basic materials to support learning to understand, say, read and write in basic English. 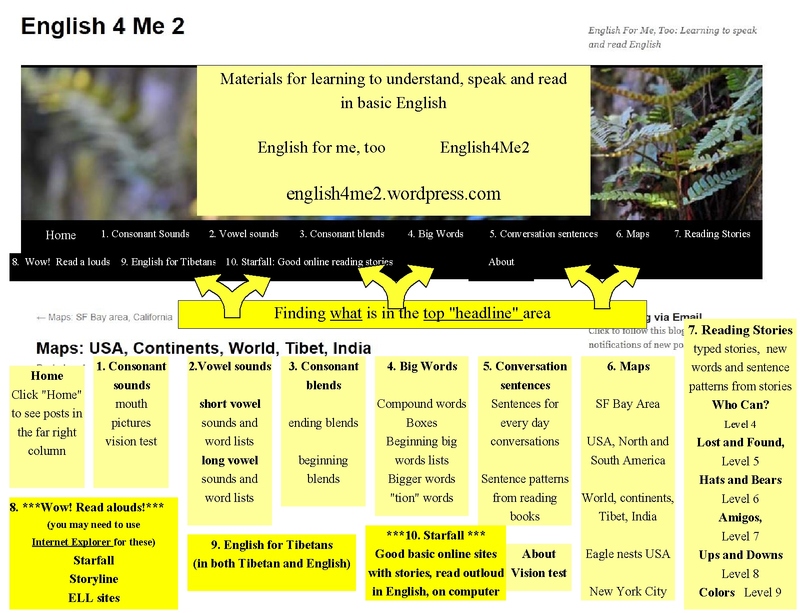 I created or modified these materials for students that I help who are from Tibet, Eritrea and Ethiopia. These students are still learning the letters of the English alphabet, so I modified pages from several excellent commercial picture dictionaries so that the students could more easily read the words. Several of the students do not have good vision, so much larger fonts were needed. All materials were created and intended for personal use. The specific picture dictionaries are referenced on each copy and are all available from Amazon. I strongly recommend purchasing these books, if students have access to Amazon. What is in the top headline area? Vision check: it’s a good idea to check vision. Many books are written in size 12 fonts. If you can’t see that size 12 font clearly, it may be difficult for you to see and read the words in books. Read sentences in all different sized fonts. Notice which size font is the smallest font that can be easily seen and read. If words are unfamiliar and reader can’t read words, try reading the names of the letters in the words.